Academy Award-nominated screenwriter Eric Heisserer (Arrival) joins Harvey Award-nominated artist Ra?l All?n (Wrath of the Eternal Warrior) for Valiant's next prestige format limited series, starring Livewire and an extraordinary new team of heroes! 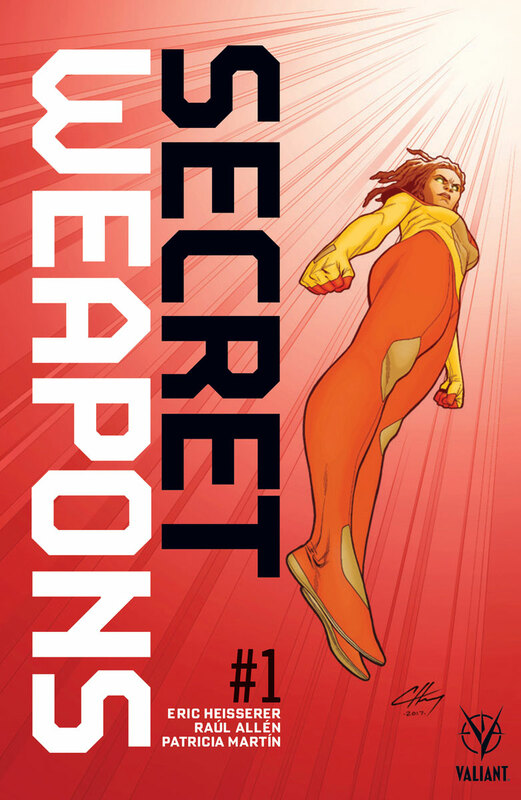 The government has dispatched Amanda McKee - the technopath codenamed Livewire - to investigate the ruins of a secret facility formerly run by Toyo Harada, the most powerful telepath on Earth and her former mentor. In his quest for world betterment at any cost, Harada sought out and activated many potential psiots like himself. Those who survived, but whose powers he deemed to have no value to his cause, were hidden away at this installation. But Livewire, having studied Harada's greatest strengths and learned his deepest weaknesses, senses opportunity where he once saw failure. A young girl who can talk to birds? A boy who can make inanimate objects gently glow? To others, these are expensive failures. But, to Livewire, they are secret weapons?in need of a leader. Now, as a mechanized killer called Rexo seeks to draw them out, Livewire and her new team of cadets will be forced to put their powers into action?in ways they never could have imagined?